INDIVIDUALIST Type Combinations in Relationships! Enneagram Ones and Fours have an intense mutual interest to bring something good and beautiful into the world. Both are idealistic and concerned with getting it right in their work and self-expressions. Both see how things could be, how a project could become an expression of an ideal form, if all went well. By working together, something universal and transcendent could result in their work and in their relationship itself. Ones bring a desire for objectivity, truth, value, and reason to the relationship. They offer self-discipline, good work habits, and regularity to the relationship. Ones are conscientious and will sublimate themselves and their personal needs for the greater good, including the shared vision and goals that they feel are at the core of the relationship itself. Ones can act as valuable sounding boards for Fours, offering advice and wisdom when Fours get confused by the multitude of their feelings or their self-doubts. Fours bring creativity, intense feelings, sensuality, spontaneity, inspiration, and the ability to tap into dreams, the unconscious, and other universal forces. Their expressiveness and emotionality can be a welcome counterbalance to the One’s typical formality and sense of order and reason. Fours give Ones permission to explore and express the full range of the One’s feelings and passions. Ones help Fours actualize their dreams by supporting creativity with healthy self-discipline and appropriate structure. In general, Ones bring self-restraint to the relationship, which may act as a model for Fours, who tend to be more unregulated. Both types have a taste for refinement, beauty, and a cultivation of the arts, and if both appreciate what the other offers, they can make a long lasting, productive team that helps balance the limitations of the other while bringing out qualities that each lacks—one of the primary functions of all good relationships. CLICK HERE for more comments from Riso & Hudson regarding potential trouble spots with this combination! intimacy, Enneagram Twos and Fours can be a safe place for each to share their hopes, fears, and insecurities. They can be good medicine for each other. Twos contribute sociability and energy, giving Fours the confidence to interact more easily with others. Twos are warm, outgoing, thoughtful and considerate, generous, and encouraging. Twos are also practical and action-oriented, willing to pitch in where needed and to do the things that need to be done, no matter how unpleasant or un-glamorous. To this mix, Fours bring creativity, a sense of humor, a willingness to laugh at human foibles, and emotional honesty. They see their own craziness and their own falseness and they do not try to varnish the truth of their quirks from themselves or from the Two. Fours also bring a sense of beauty and of subtlety into the relationship: they care about how things impact on themselves and others, and so they go out of their way to arrange their world to be more aesthetically pleasing, allowing the Two to feel more relaxed and nurtured. Fours also bring emotional depth and sensitivity to their relationships, a sense of mystery and unpredictability, sensuality and sexual freedom. In short, Fours invite Twos to take a closer look at their deeper needs, the truth of who they are and what they actually feel. Twos appreciate the subtleties and nuances that Fours bring, and Fours thrive in this atmosphere of appreciation. They can lighten up each other with unexpected humor and appreciation of each others’ quirks. Each invites the other to mature emotionally, usually without saying so. bBoth help the other to stop being so concerned about what others think of them and to become more inner-directed. These two types can form something of a complementary relationship, with each bringing important qualities to the relationship that the other generally lacks. Enneagram Fours can teach Threes how to talk about themselves on a deeper level and help acknowledge and process their feelings. They can also bring Threes more sensitivity, a feeling for beauty and for the non-practical but fulfilling aspects of life. Finding the Three’s heart’s desire is an extremely important area of self-awareness in which Fours can play a helpful role to Threes. Fours can bring a sense of style and presentation, rich communication, and sense of refinement. Threes model many of the qualities that Fours would like to develop in themselves, and Threes are well-suited to helping Fours gain new skills. Threes can bring a good deal of tact and diplomacy to handling Fours’ emotional reactions and their sometimes too-sensitive feelings and self-doubts. Knowing what to say and when to say it-and what not to say—to a Four can be crucial for building trust in the relationship and avoiding inadvertent episodes when either feels humiliated or embarrassed. Threes can bring a sense of hope and ambition to the relationship, practical goal-setting, coaching and behavior management techniques that help Fours get out of a slump or a period of low energy. Threes can coach Fours on how to get on with practical matters and to act professionally despite the shifts in their feelings and self-doubts. Since both types are driven by (often unconscious) feelings and reactions, this can be an intense and passionate coupling. Both are aware of “image” issues and about how others perceive them, and so this couple will be noteworthy for its energy, flair, sense of style, and enjoyment of the finer things of life. They may both feel a connection with the other that goes beyond words or reason into another realm as if they had known each other from a previous existence or that the other is some kind of soul mate. As with all double-type relationships, two Fours generally bring the same qualities to each other. Thus, the Level of health of each person is especially important for these types of relationships as are their dominant instincts. Double Four pairs generally make good friends and deep friendship is something they often bring to their intimate relationships. Fours often feel misunderstood, yet feel a special bond of understanding with other Fours. They share stories of their childhood traumas, their private dreams and disappointments. Both types are openly emotional and sensitive to the needs of the other. Both are looking for adequate mirroring and in a double Four relationship, they have a real possibility of finding it. Because each person in a double Four couple is so attuned to their own emotions, there is a great deal of sensitivity and respect for individuality and each other’s emotional needs. They have the ability to laugh at themselves and to find amusement with each other in the dark loneliness of the childhood and adolescence. They are not put off by unearthing deep psychological and personal issues. Both are encouraging of the artistic and creative efforts of the other and find it easy to communicate about the most private and intimate issues as they arise. They feel that their relationship is a truly safe space where the other is on a similar emotional wavelength: both feel less alone and less like something is wrong with them personally. Double Fours are highly romantic and idealistic as a couple and their intimacy has the potential to grow into a grand passion of virtually operatic proportions. Emotional ups and downs, hopes and disappointments, elation and despair tend to make this couple more focused on itself than on practical life, child raising, or their careers. Enormous candor, deep friendship, and consideration for the unique history and emotional needs of the other would be hallmarks of this relationship. Both types bring a certain richness and special qualities of aspects of human development: Fours bring an artistic and emotional temperament, the habit of introspection and sensitivity to feelings in themselves and others. Both types are private and like depth, and they do not mind taking time to explore things deeply and to savor the richness of their own experience. Enneagram Fours and Fives may well have different interests but they appreciate different perspectives and respect the other’s intensity and commitment to following their own feelings and interests. Fives bring an inquiring, intellectual temperament, the habit of asking questions and of being interested in a wide variety of things and of being willing to break with old conventions. Fours contribute an appreciation of aesthetics and of the effect that ideas and discoveries have on people: feelings and unconscious processes are powerful and are not to be taken lightly. Both types can be extremely creative and both love to share their findings with the other, making stimulating, wide-ranging conversation and open communication a hallmark of a Four/Five relationship, both in the intensity of their conversation and in the sincere interest they bring to their listening to each other. Each type usually brings a noteworthy sense of humor and love of the bizarre and the outlandish that can give their relationship a quirky and unique character all of its own. This is often because they both share an “outsider” status. Fives draw Fours out by showing them other worlds and other perspectives, with a depth that Fours like. Fours help Fives stay in contact with their personal self and feelings. They have a mutual tolerance for whatever the other comes up with and neither is easily shocked. They generally find each other stimulating and are tolerant of each other’s idiosyncrasies. Both inspire creativity in the other and give permission to the other to be themselves and follow their own inspirations. Both Enneagram Fours and Sixes, have many natural affinities for each other, especially since both are highly emotional and often feel insecure around people. Both tend to strong, immediate feelings and to act on their unconscious hunches or intuitions. Sixes often misidentify themselves initially as Fours because of the traits that they actually have in common. These very traits can also be ones that they bring to the relationship, enabling them to have an unusual degree of empathy and tolerance for each other. In short, Fours and Sixes can bring to each other the feeling that they are kindred souls, connected by their feelings of abandonment and a certain distrust of others. They may feel like “orphans in the storm” who offer mutual support and reassurance. Rather than energize each other, when they are healthy, Fours and Sixes tend to support and stabilize each other, usually acting as a sounding board for worries and complaints that they feel they cannot air anywhere else. Fours bring sensitivity, sensuality, and the ability to express emotions openly, including the feelings that Sixes themselves do not know how to express. Fours talk about their inner lives—again, something that Sixes often need to learn. Sixes bring hard work, perseverance, practicality, loyalty, and concern with security to the relationship. They are also often warm and unpredictably playful and able to break through whatever gloom and self-absorption Fours may periodically fall into. Fours give Sixes the sense that they are needed—helping to give Sixes more confidence in their ability to cope with things. Sixes like being practical and they often provide Fours with a platform of some kind to develop their creativity as well as the time and support they may need to work through their emotional issues. This combination creates steadiness and daring, balance and the ability to fill in the gaps for each other both in their own development and in practical affairs. Enneagram Fours and Sevens tend to be intrigued by each other since they are a generally a case of opposites attracting. Fours tend to be quiet, introverted, self-doubting, emotional, and pessimistic, while Sevens tend to be outgoing, extroverted, self-confident, mental, and optimistic. Sevens help Fours overcome shyness and a possible reluctance to try new experiences. Fours help Sevens stay focused on what they really want—and to respect and allow their feelings. Fours and Sevens bring to their relationship the charge and mystery of their differences (that they think so differently, react so differently, and find pleasure in such different ways). They can therefore become intrigued by the other, finding him or her endlessly fascinating, always ready with something new and unexpected. Both Fours and Sevens bring a capacity for joy and ecstasy, spontaneity, emotion, and for passion. Both Fours and Sevens love lively conversation and they can pass hours sharing with each other detailed accounts of the events of the day as well as their thoughts and reactions. Both Fours and Sevens love the finer things of life, travel, good food, wine, clothes, and furnishings, and, for better or worse, both can tend to overspend their incomes on what they consider life’s necessities—caviar, champagne, and another trip to Europe. They both have a love of the new and a sense of adventure and romance that can keep their relationship fresh and lively for themselves and be a source of joy and inspiration for others. Both types can be funny, irreverent, and entertaining. There is also an earthiness and bawdiness to both, as well as, paradoxically, a sophistication and elitism. Being opposites, Fours and Sevens can balance each other: Fours bringing a sense of depth and the interior, while Sevens contribute a sense of fun and emotional resilience. This can be one of the most creative relationship couplings, although it is also one of the most inherently volatile. Both Enneagram Fours and Eights are intense and have strong emotional responses; both seek to get a reaction from the other, and both can be dominating of their environments: Eights are socially dominant, Fours are emotionally dominant. Both types bring passion, intensity, energy, and deep (often unconscious) feelings to all aspects of the relationship. They are attracted to each other’s storminess, the other’s vulnerability, and the other’s “hidden” qualities: neither is what they seem to be on the surface. Both types are also highly intuitive, Fours by being self-aware and knowledgeable about how they are feeling, and Eights with their intuition about external phenomena, often with an extremely accurate insight about the potentials and possibilities exhibited by others. Because of their passionate natures, both types can become impulsive and reckless, taking extreme risks for love of thrills or for the sensation of being alive—and this can be tremendously exciting to the other. But there are trade-offs: Fours tend to depend on the Eight’s practicality and ability to protect and provide for them, whereas Eights tend to depend on the Four’s sensitivity and mysterious sense of challenge. The Four’s emotional life and heart may be one world that the Eight cannot easily conquer. On the other hand, Fours see strength, charisma, and solidity in Eights. Both feel that the other can meet their intensity—that the other will not be boring or non-responsive to them. They make each other feel more alive, something that both want. Intensity, vitality, passion, and immediacy are the emotional hallmarks of this couple, and they relate to each other (and to others in their world) from an unusually high emotional pitch—there is always something happening in their relationship, and they like it this way. This can be, paradoxically, both a very comfortable, and yet exciting, relationship pair. highly sympathetic to the suffering that they find in the world and in each other. Both want to find a deep connection with the other, and yet, both also want a certain degree of autonomy and insist on a very real degree of privacy. Both Fours and Nines can be highly creative, and as a pair they enthusiastically support the other’s creativity and give the other a good deal of space in which to develop their talents. Both are idealistic and want to connect deeply with someone, feeling that they are on a search for their soul mate, the one person in the world with whom they can completely connect and be themselves. Both Fours and Nines also bring a sensuality and love of comfort that is noteworthy; this may express itself in their lifestyle, traveling habits, and in their sexual and other intimate activities. This is a couple that likes to stay in bed all Sunday morning, reading the papers and talking. Each brings passion and an appreciation of the other coupled with a desire to be comfortable and build a life with the other. Fours can make Nines become more intense and expressive about how they feel, while Nines can allow Fours to feel understood and accepted for who they are. Fours are good at naming feelings and pinpointing emotional states; Nines are good at creating an atmosphere of nonjudgmental acceptance, Nines may even enjoy the emotional storms and dramas that Fours occasionally get into, feeling that it adds spice to their life together. A lot of the pleasure and passion of this couple is nonverbal in the depth of the understanding that each has for the other. Take the Next Step in Your Relational Growth Adventure! 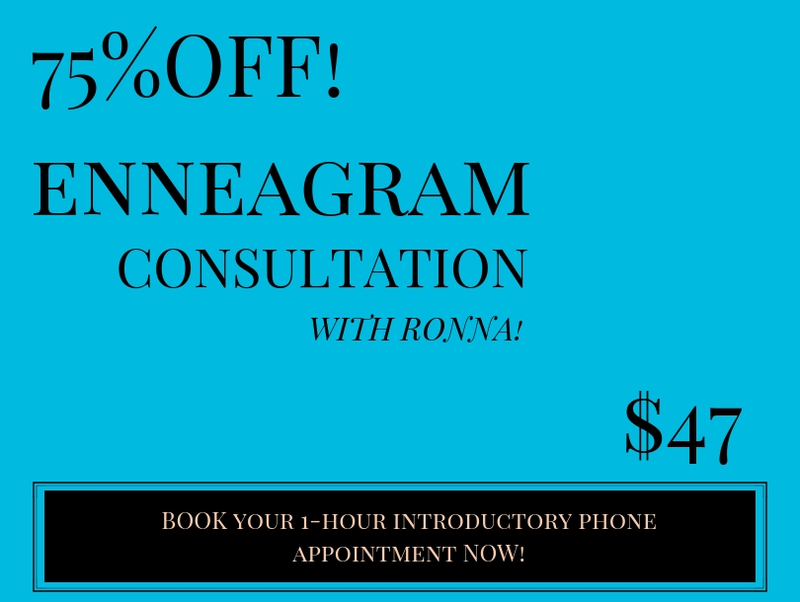 Try the Christian Enneagram Coaching Experience…. RELATIONSHIP BUILDERS Newsletter FREE Relationship-Building Updates, Personality Tests, Couples Training, PLUS Lots More!